Khimki Moscow Region remained the exclusive leader in Group F after downing Zalgiris Kaunas 111-80 in the Russian capital on Friday. 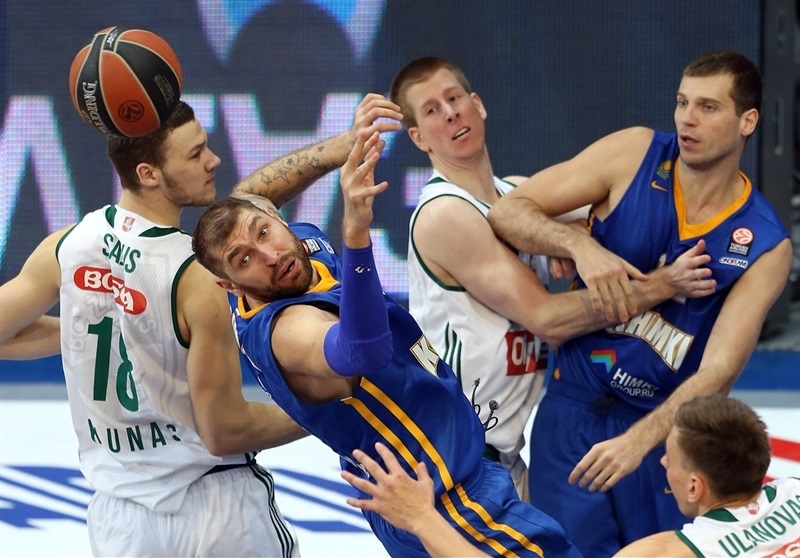 Khimki improved to 4-1, while Zalgiris dropped to 1-4. Tyrese Rice led the winners with 20 points and 11 assists. 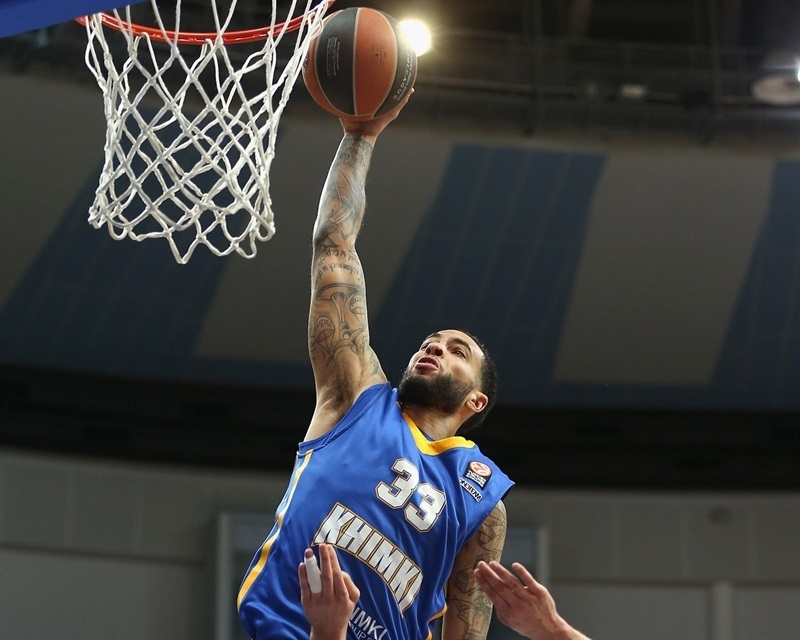 Tyler Honeycutt added 14 points and 3 blocks, Alexey Shved scored 13 points, Petteri Koponen 12 and Zoran Dragic contributed 11 for Khimki, which set a new club record for scoring. Renaldas Seibutis led Zalgiris with 15 points, Ian Vougioukas added 14 and Edgaras Ulanovas 12. Seibutis and Vougioukas fueled a 0-9 run, which gave Zalgiris an early 8-14 lead. Khimki called timeout and found a go-to guy in Dragic, who helped the hosts to a 25-18 margin after 10 minutes. Sergey Monya and Honeycutt fueled a 12-1 run that broke the game open, 43-26, late in the second quarter. Seibutis and Ulanovas brought Zalgiris a bit closer, 52-38, at halftime. 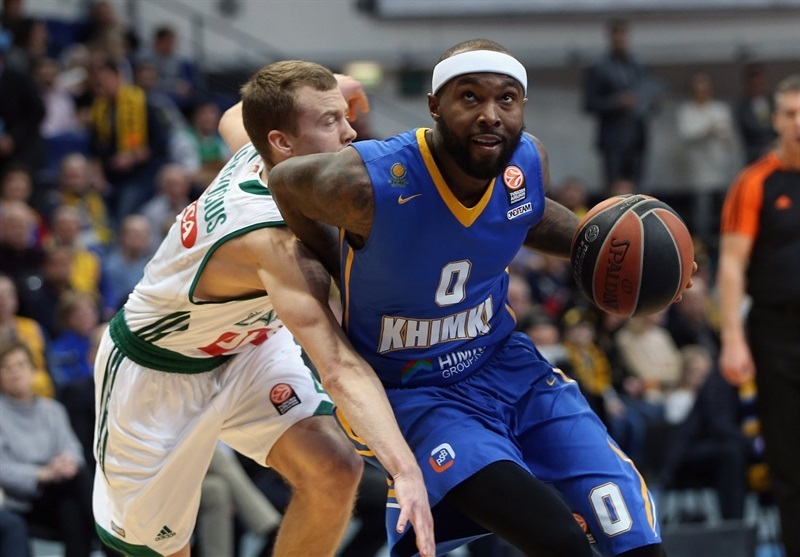 But nothing changed after the break, as Khimki boosted its margin to 77-61 after 30 minutes and then again to 96-66 to seal the outcome long before the final buzzer. Seibutis got Zalgiris going with a three-pointer. Rice found James Augustine for a dunk and added free throws, but Ulanovas kept the visitors ahead, 4-5. Augustine banked in a turnaround jumper and Honeycutt added a high-flying slam for an 8-5 Khimki edge. Martynas Sajus stepped up with a tip-in, which Vougioukas followed with a layup-plus-foul that put Zalgiris back in charge. Seibutis scored in penetration and a layup by Ulanovas caused Khimki to call timeout at 8-14, after a 0-9 run. 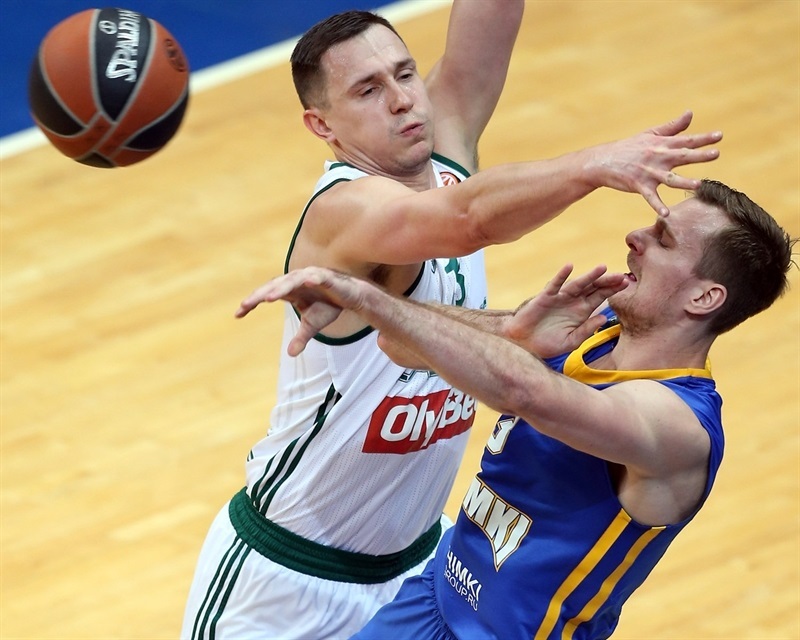 Dragic rescued Khimki with a triple and Rice also struck from downtown, but free throws by Vougioukas and Ulanovas kept Zalgiris on top, 14-16. 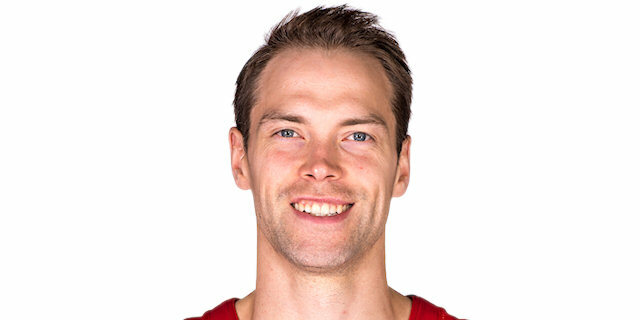 Dragic scored in transition and free throws by Petteri Koponen and Marko Todorovic gave the hosts a 19-16 edge. Dragic kept pushing Khimki with a fast break slam. Paulius Jankunas and Egor Vyaltsev exchanged free throws before a backdoor layup by Augustine boosted Khimki's lead to 25-18 after 10 minutes. Brock Motum shined with a put-back slam early in the quarter and fed Jankunas for an uncontested dunk that brought Zalgiris within 3. Vyaltsev and Seibutis split free throws and Sergey Monya hit both attempts. After Shved nailed a catch-and-shoot triple, Siim-Sander Vene hit foul shots. Vyaltsev gave the hosts a 32-25 edge. Honeycutt scored around the basket and a dunk by Monya made it a double-digit game. 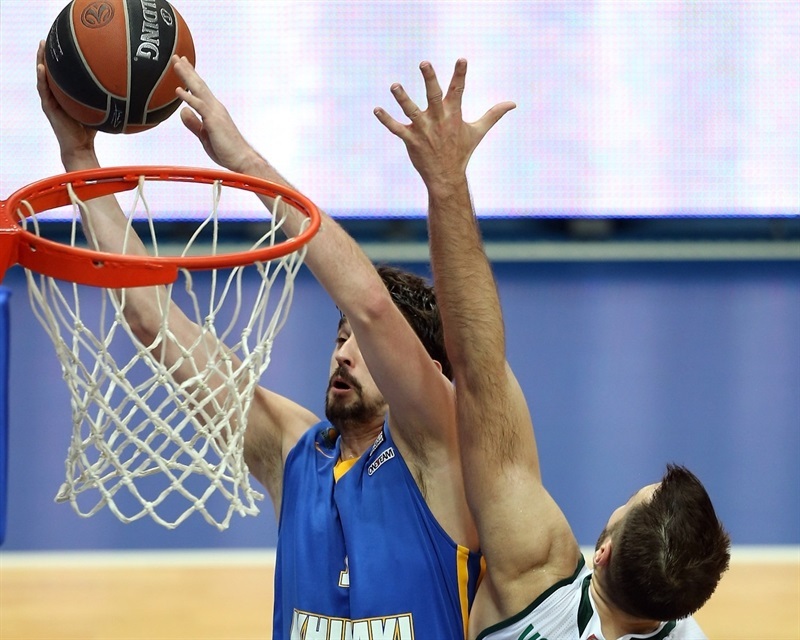 Monya pushed Khimki onward with a three-pointer. Dmitry Sokolov hit a jump hook and Honeycutt dunked again to break the game open at 43-26. 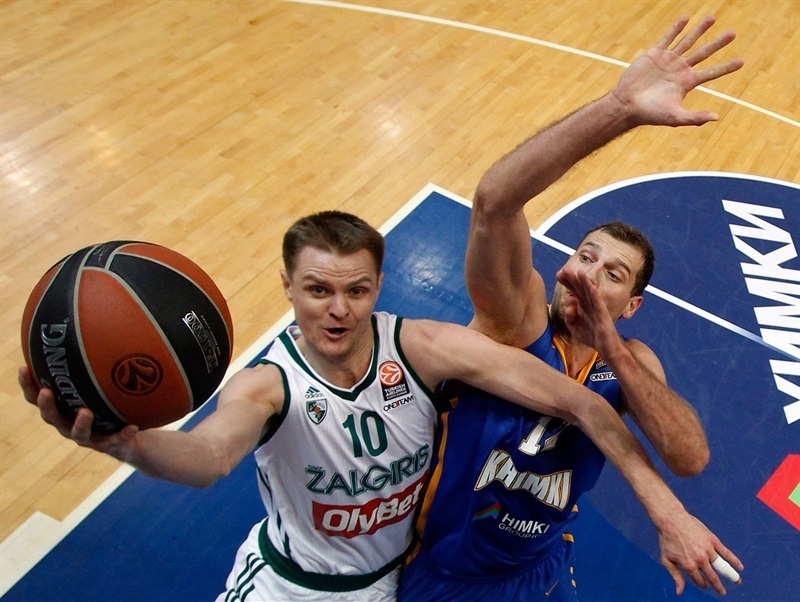 Ulanovas struck from downtown ad Seibutis added free throws to give Zalgiris hope. Sokolov buried another jump hook, before Seibutis and Marko Todorovic exchanged free throws. 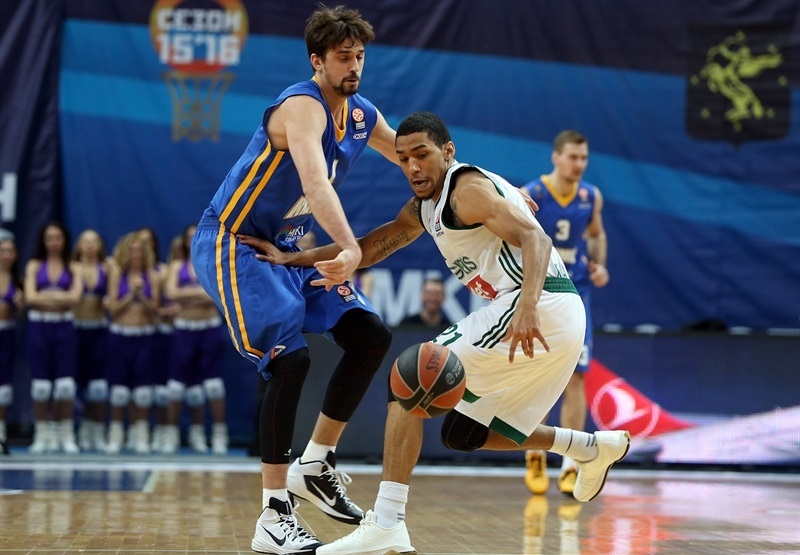 A three-pointer by Olivier Hanlan brought Zalgiris within 47-36. Honeycutt answered from downtown and Koponen erased Ulanovas's free throws with a buzzer-beating jumper for a 52-38 Khimki edge at halftime. Rice buried a huge three-pointer immediately after the break. Dragic split free throws and Shved hit one from beyond the arc to make it a 21-point game. Jankunas tried to change things with a mid-range jumper, which Rice bettered with a rainbow triple. Vougioukas followed a tip-in with a layup off a spin move down low, but a three-pointer by Dragic set a 65-44 Khimki lead. Vougioukas made free throws, as Khimki tried a taller lineup with Augustine and Sokolov together on court. Motum buried a three-pointer, but Sokolov made 3 of 4 free throws. Vougioukas hit 2 attempts to make it 68-51. Shved scored in transition, but Vougioukas and Hanlan got Zalgiris a bit closer, 70-56. Shved insisted with free throws, before Hanlan split attempts. Ulanovas brought the guests within 13. Shved solved a broken play with a layup and Honeycutt added a dunk to give Khimki a 77-61 margin after 30 minutes. Rice made free throws early in the quarter, but Vene did better with a bomb from downtown. Honeycutt answered from beyond the arc and Seibutis scored in penetration, but Zalgiris entered the foul penalty with over eight minutes left. Koponen made the most out of it with a three-point play that boosted the hosts' lead to 85-66. Rice split free throws, added a three-pointer and fed Todorovic for a layup that sealed the outcome, 91-66. Khimki started to run the game clock down and Rice finished a long possession with another triple. Koponen hit a jumper to cap a 14-0 Khimki run. 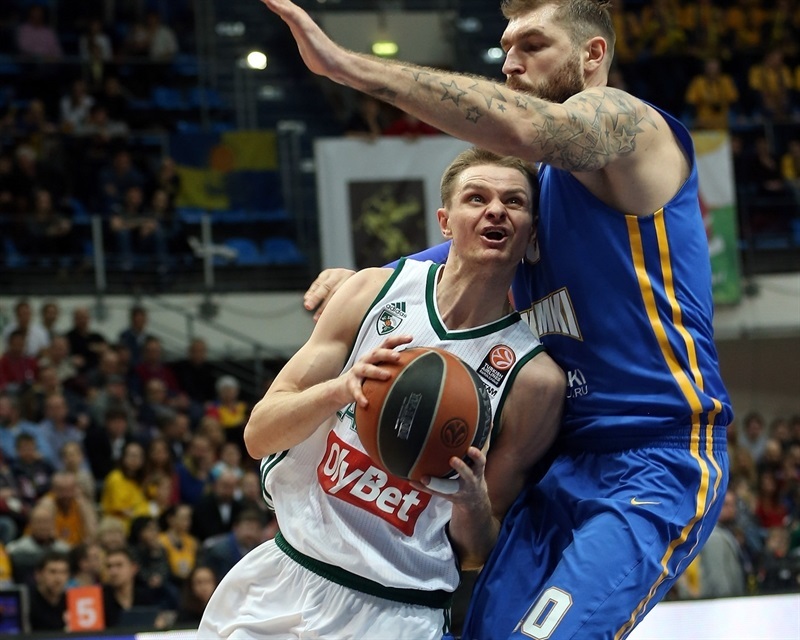 Martynas Pocius and Todorovic exchanged baskets and Stanislav Ilnitskiy helped Khimki break the three-digit mark, 100-68. 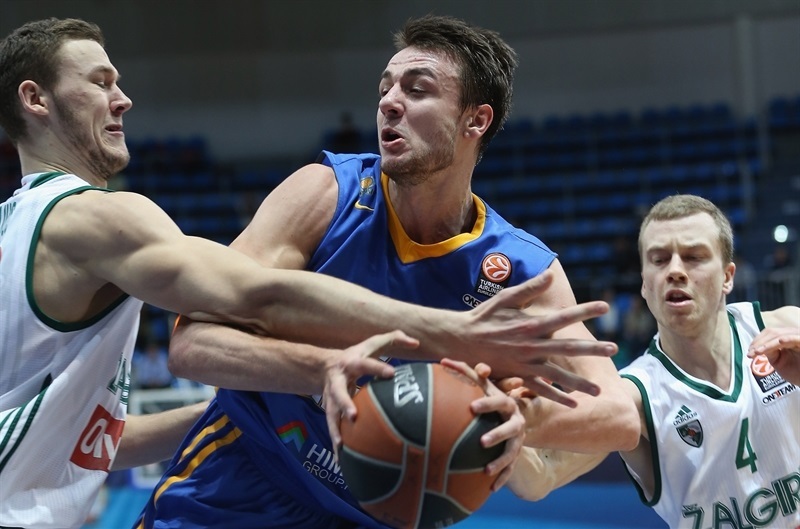 Sajus scored again but, the outcome was clear as Khimki cruised to a very convincing home win. 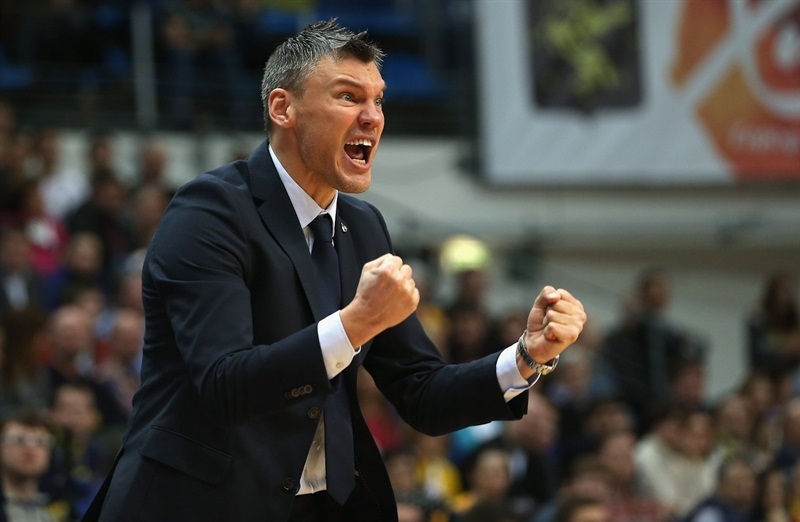 "I’m happy with this win because if we want to pass to the next Euroleague round, we need to win all the home games and take some victories on the road. Now we have four games at home. Today we played nice and quick basketball. I would like to thank the players for their effort and energy that they brought to the court. I’m satisfied with this beautiful win. This season we are playing more consistent basketball and don’t have big downs, for example from 18 points to 2. 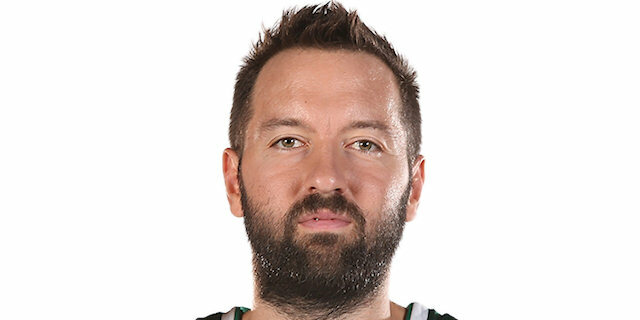 This is that you need for the Euroleague. Now we have some tough road games in Tbilisi and Athens. It will be tough." 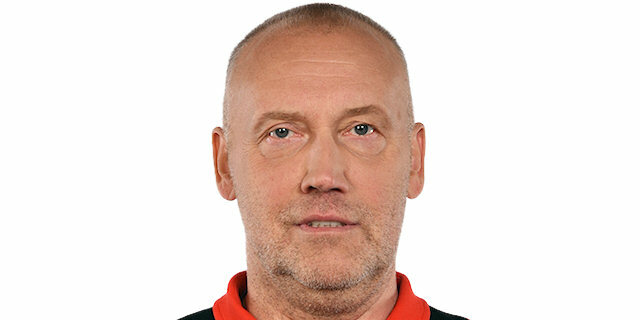 "Congratulations to Khimki and coach Kurtinaitis on a great performance. I believe that we couldn’t do a lot of the things we talked before the game; especially we didn’t control the game offensively. In the end what happened was a lot of easy points by Khimki; that was the biggest key to this game. As a coach I should take the responsibility for the team’s performance. We will try to do better next time." "We played pretty well during all the game. We were focused and played with energy. Today we moved the ball very well; that’s why we scored 111 points. If you win by 30 points, you can be satisfied. At halftime we were 14 points up and in the second half we put 16 points more. It was a balanced game, but in the Euroleague you just don’t blow one team away in the first half. You have to play all 40 minutes and try as hard as possible. In the end of this group, every point might be important, so we got a good result tonight. Zalgiris surprised Olympiacos by 20 points and we knew that we had to be focused and come out with energy. Everybody produced and played a good game. But the job is not done and we have a lot of games to go. Every game is important now." 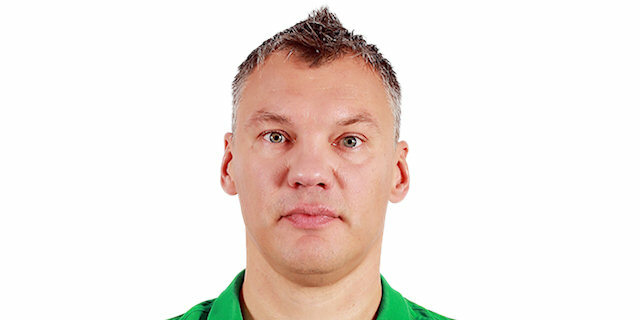 "We knew that Khimki is a very talented team that has some charismatic and talented players. Unfortunately, for most of the game, some of them, especially Rice, were able to score difficult shots. In general, we were not able to slow down the game and gave them some easy points in transition. We need to be more consistent and focus on trying to get better and just in general improving our game."